-> Marinet2 (European funded projects): taking part in testing standardisation and transnational access physical testing. Senior project/testing engineer at Lir National Ocean Test Facility and MAREI Center, UCC. 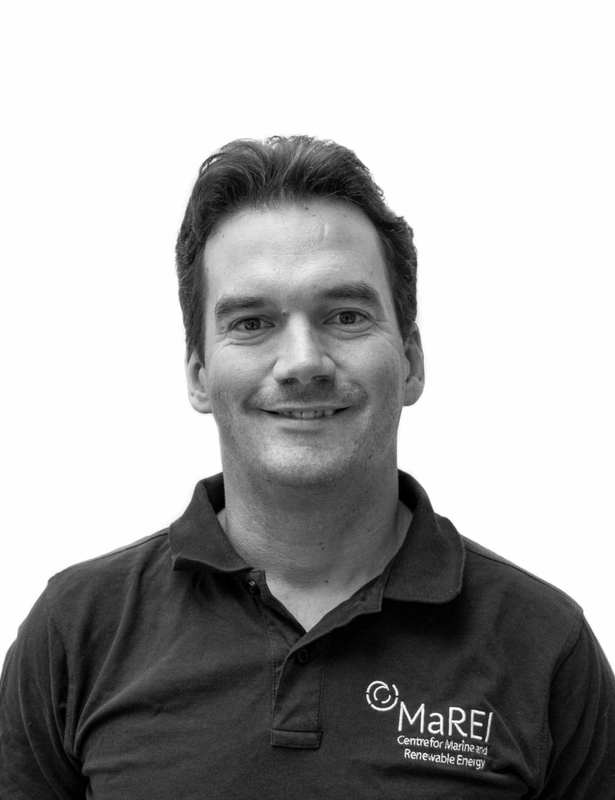 MSc in Loughborough University, UK, he joined the MAREI centre in April 2008 as a fulltime member and has over 10 years of experience in wave energy technology testing at all stages of the wave energy development path (IEA~OES Guidelines). He has been involved in a large number of projects in the Lir-NOTF wave basin and other facilities at around 1:50 scale model testing and large tank scales, around 1:15 scale. He also participated in the FP7 CORES project (testing of an OWC at 1:4 scale in Galway bay) and in a full scale OWC project (in PICO, Azores, Portugal). His main roles in the MaREI centre include wave energy model design and construction, monitoring systems design and programming, testing and data analysis for the characterisation of the device and performance analysis.